The currency will only be accessible within the organizations and will not be able to buy real-world goods and services. But a model digital currency economy will operate, as a kind of trial run. Staff will earn the tokens by achieving training goals, then exchange their earnings for rewards of some kind. The tokens will be accessed on an app called ‘Learning Coin’ to emphasize its educational use. The app will also support the institutions’ blogs, research and video content. It comes days after Christine Lagarde, the Managing Director of the IMF, told CNBC that cryptocurrencies were “clearly shaking the system”. The central bank’s preferred inflation metric rose to 2% in May 2018, but has had trouble maintaining that level. Some Fed officials that have been concerned about spotty inflation reads have suggested that they’d be comfortable letting prices rise above a 2% pace. President Donald Trump claimed the stock market would be “5000 to 10,000” points higher if not for the actions of the Federal Reserve. 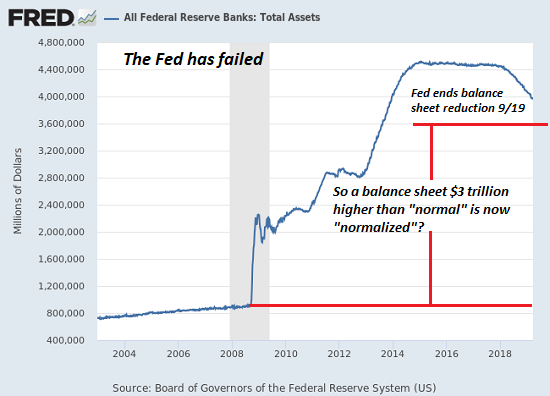 A slow, steady decline is precisely what we can expect in an era of credit exhaustion, The central bank “solution” to runaway credit expansion that flowed into malinvestment was to lower interest rates to zero and enable tens of trillions in new debt. As a result, global debt has skyrocketed from $84 trillion to $250 trillion. Debt in China has blasted from $7 trillion 2008 to $40 trillion in 2018.
ranking member Devin Nunes, Mark Meadows and Jim Jordan recently visited with IG Horowitz and foresees future criminal referrals coming as an outcome of the IG investigation. Nunes dropped a nuclear bomb last night on Hannity. Nunes said the “illegal” op started late 2015, early 2016. The “legal” op didn’t start until July 31st 2016. The timing of this sudden movement in the Assange case after seven years of almost complete stasis is not a coincidence. Trump will begin making moves he has been delaying while waiting for the right time. Shortly after the Mueller Special Counsel released its final report. Immediately after Attorney General William Barr testified to the US Congress that he believes the Trump presidential campaign was spied on by U.S. intelligence and law enforcement agencies during the 2016 election. All the federal law enforcement and intelligence agency officials who spied on Trump’s campaign knew there was never any evidence of collusion between the Russian government and Trump’s campaign—whether it was collusion on stolen DNC emails or anything else. Mueller has confirmed this by ending his probe without charging a single person with any such activity. The publicly known evidence at this stage points to the fact that the people who launched the FBI’s “Crossfire Hurricane” counter-intelligence investigation knew all along they were engaged in a massive fraud. It’s that Russian hackers stole DNC emails and that the Russian government made overtures to the Trump Presidential campaign about these emails before they were published by WikiLeaks. think about, what happens when it is proven that Trump and Putin never worked on getting the emails, what if it was suddenly proven through documentary evidence and testimony by the person who published the stolen emails that no Russians whatsoever were involved in getting the emails to WikiLeaks? That instead of Russian hackers, Russian agents, or Trump associates, the emails were obtained in a different way, such as through a leak from within the DNC itself? SR ?? Assange is the another piece to the puzzle to show that the DS made all of this up and that they were the ones colluding, hiding evidence and committing crimes. When you no longer control the levers of POWER, do FVEY (‘Allies’) buckle & cooperate in order to preserve and maintain their future? Swalwell’s comparison of weapons designed for civilians and rocket-propelled grenades is a red herring, nothing more. Such devices have never been in widespread circulation among among American gun owners- although they’re technically legal, The assault weapons ban that Swalwell has expressed a desire to champion, however, would criminalize nearly 20 million firearms already owned by American gun owners. Pompeo said the following, Cubans must understand too that there will be cost associated with continued support of Nicolas Maduro […] And we’re going to have that same conversation with the Russians as well”, Pompeo said, cited by Reuters. Earlier, US Vice President Mike Pence said that Washington would soon announce new action against Cuba in response to what the administration of US President Donald Trump considers Havana’s “malign influence” in Venezuela. 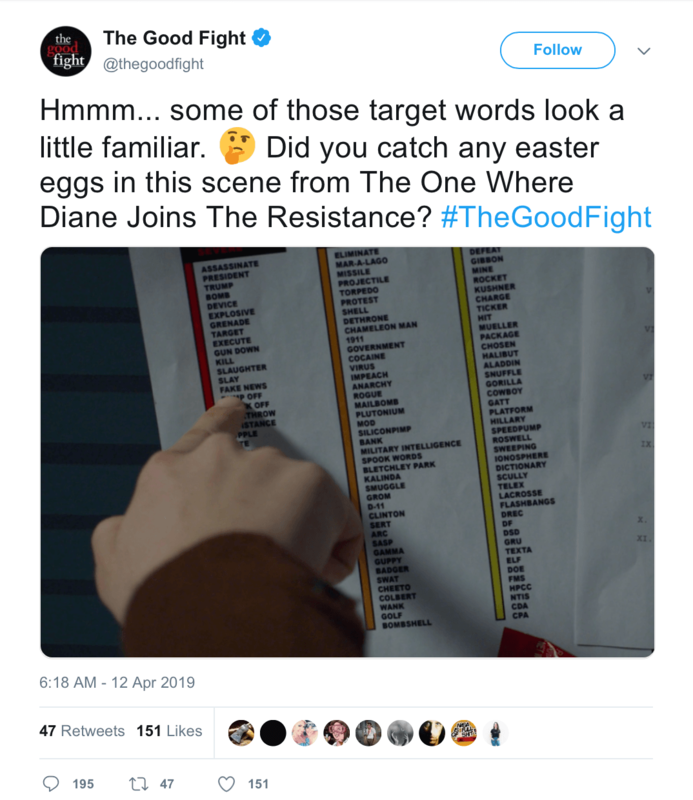 CBS crime drama The Good Fight tweeted an image on Friday from a recent episode, entitled, “The One Where Diane Joins the Resistance.” The image showed a character pointing to a list of “target words” that included the phrases “Assassinate President Trump” and “Eliminate Mar-a-Lago.” these tweets have been deleted but they were reported to the secret service. President Trump on Monday mourned the fire that is engulfing the Notre Dame Cathedral in Paris, France, lamenting the destruction of what he called “one of the greatest treasures” of the world.